Back when widgets were all the rage on Android and everyone was in awe of the stock clock and weather widget that could be found at the top of all HTC devices’ home screens, the widget itself was held up as an example of the kind of thing that users of iPhones were always going to miss so long as Apple refused to allow widgets. Then jailbreaking came along and made it all possible, but the iPhone’s relatively small screen never really leant itself to having something so large at the top of the screen. Then the iPhone 6 Plus came along. 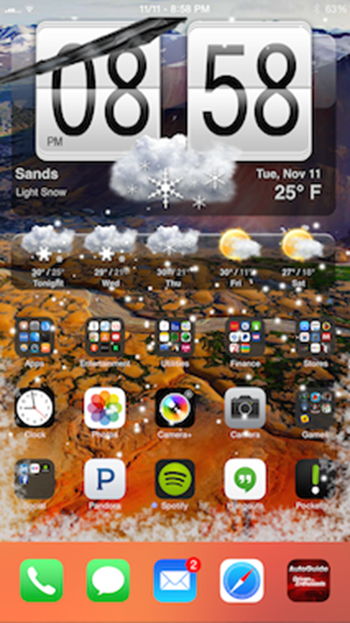 Newly updated to take advantage of the size of the iPhone 6 Plus, the HTC Animated Weather widget is available to download from Cydia right now under the ModMyi repo. It’s only actually available for the iPhone 6 Plus due to the work required to make it fit just right at the resolution offered by it, but a special iPhone 6 version is apparently in the works so fear not, owners of the smaller of Apple’s two newest phones won’t be left in the cold for too long. What’s more, the developer behind the tweak has taken the time to create an icon layout map for HomescreenDesigner that will leave enough space for the widget at the top of your iPhone’s screen, meaning you really won’t have to start messing around with such things in order to get the best result possible. If you used to look on at your HTC-using friends and wish you too could have such a large clock and weather widget on your phone then your time has come. 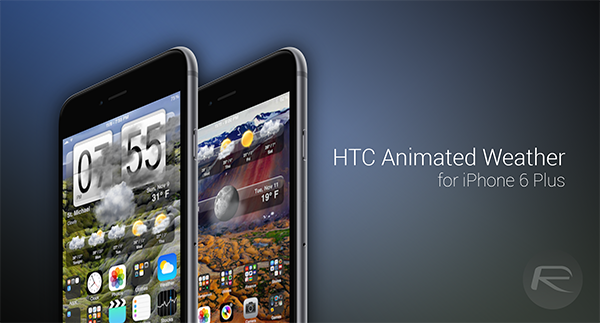 Installing the tweak is just a case of heading to Cydia and searching for ‘HTC Animated Weather – iPhone 6+’ and installing like any other tweak. 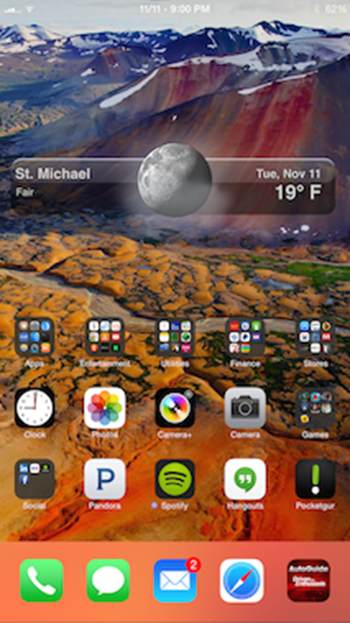 Remember, it’s a good idea to play around with the widget a little to get the right balance of things happening on your home screen. Also try to mix and match some wallpapers to make the whole thing pop out. looks bad on iPhone…like the iPhone itself. Doesn’t transition well onto landscape view. dont add a downgraded feature on awesome iphone – please.